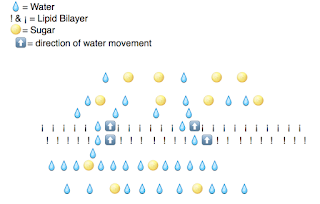 Electron transport and ATP synthase depicted in emoji by a student. 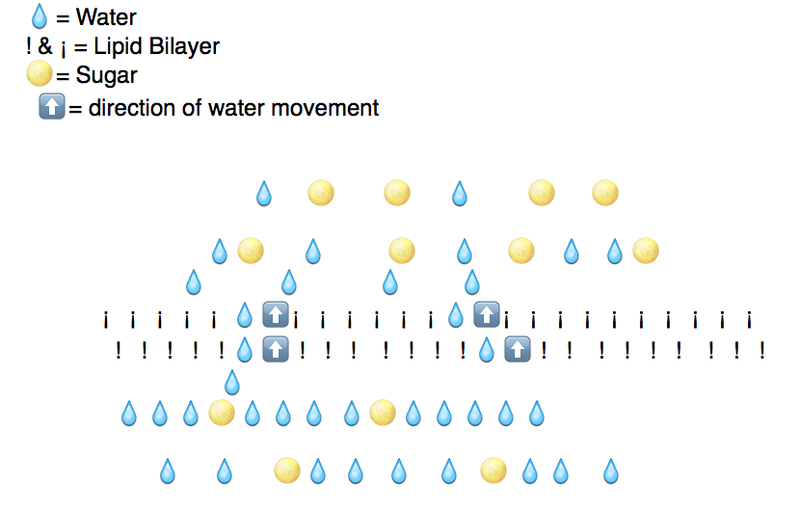 "Use standard emoji to illustrate concepts from the class." Here's an nice take on the good ol' central dogma. Information from a cookbook (DNA) is copied down (RNA) then used to produce a meal (protein/function). A nice monohybrid cross...with Mendel at the top making careful observations. Another monohybrid cross with the alleles shown as a strong arm (dominant) or a thumbs down (recessive). 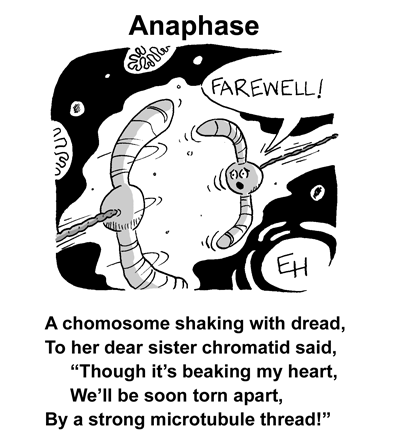 It's cute but would have been better if the heterozygous F1 was shown. Translation: "A father can only give X-linked genes to daughters." 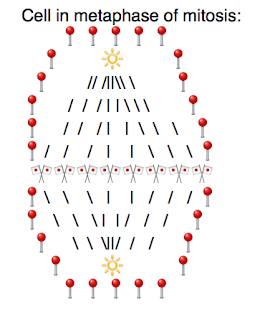 This one follows an electron in the light reaction through two rounds of excitation (at photosystem II and photosystem I). The final fate of the electron is to reduce NADP+..."joining the family" at the end. And here is osmosis equalizing sugar concentrations across a phospholipid bilayer. What do you think of this assignment? 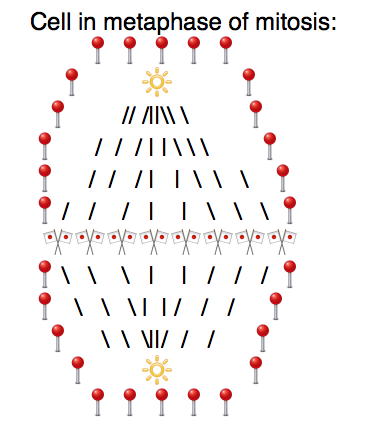 What basic cell biology concepts would YOU like to see illustrated with emoji? Please comment and let me know.